With new entrants into the space industry, an ever-rising number of launches and dozens of constellation satellites planned for launch over the next decade, there is an opportunity to evolve ground system architectures. This is driving the need for increased automation, shorter delivery times as well as a desire to not reinvent the wheel for each new spacecraft or mission. The space industry has been talking about “common ground systems” for years. 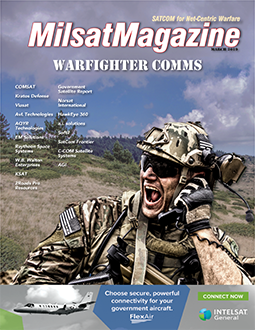 A search through the Satnews Publishers archives reveals common ground systems referenced in many articles over the past decade for military, civil and commercial missions. In addition, scalability has emerged as a necessary trait for common ground systems. A real test of “commonality” is if the ground system can support everything from a single spacecraft to a constellation of hundreds. Scalability will also need to address folding in upgraded and/or modified satellites as a constellation is maintained and refreshed over time. This has implications on the architecture and requirements, given the emphasis on automation and management by exception. The U.S. Air Force Space Command (AFSPC) is making strides to transition from stove-piped ground segments to a common ground system through its Enterprise Ground Services (EGS) approach. Past ground systems achieved some cost and schedule reductions using Commercial- Off-The-Shelf (COTS) software but were largely built from scratch. EGS will allow for enhanced resiliency, automation of routine tasks, and easier transitions for operators from one mission system to another. a.i. solutions, a mature small business based in Lanham, Maryland, has focused on a critical component of a common ground system — the Flight Dynamics System (FDS). An FDS controls the spacecraft orbit through orbit determination, ephemeris/product generation, contact analysis, maneuver planning, fuel accounting, and collision avoidance. Every maneuverable satellite has an FDS component to perform these functions and many of the requirements can be similar for each orbit regime, such as Low Earth Orbit (LEO) and Geostationary Earth Orbit (GEO). 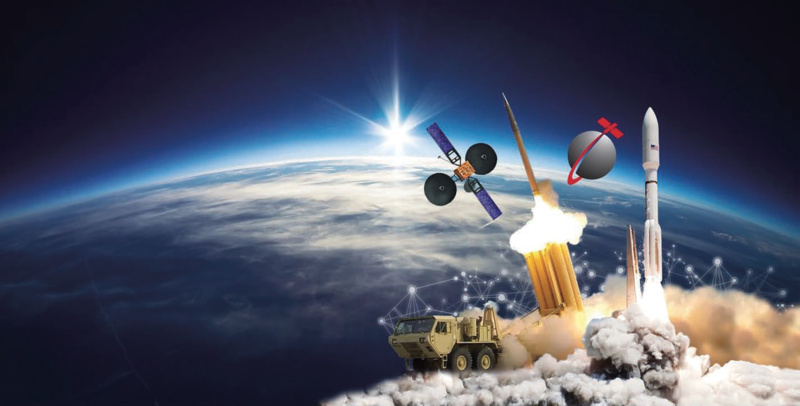 The company has built the FDS for dozens of satellite systems (single satellite, formations, constellations) over the past 20 years for military, civil and commercial missions, incrementally improving the firm’s technologies over time. With the tenants of a common ground system in mind, a.i. solutions developed its Meridian offering to be the FDS of the future. “Meridian is not an incremental improvement built to meet the next customer’s requirements. It’s built based on the past 20 years of requirements, the latest advancements in technology, and where we think our industry is heading,” said Paul Noonan, Vice President at a.i. solutions. Meridian’s reusable architecture can swap out modules from one deployment to the next, exchanging LEO drag makeup maneuvers for GEO station keeping, all within a common framework and a modern operator interface. The common interface means that operators are trained and certified on one set of procedures, quickly transitioning to new missions without having to restart that entire process. Meridian is built to meet a standard set of requirements, generating products from definitive ephemerides to eclipse predictions, in a way that any remaining mission-unique needs can easily be layered on top of the baseline functionality. It enables external interfacing in a variety of common formats like CCSDS and common messaging mechanisms like GMSEC. The Meridian software has been developed for single- and multi-spacecraft operations and can scale to fly thousands of operational spacecraft. It is built using modern technologies such as the MEAN stack, so while it is deployed on secure standalone networks today, it can be used tomorrow to predict coverage times from a mobile device or run launch window analyses on cloud architectures. These technologies make automation easier; an operator can specify each input to generate a set of output products — or review automated processes for anomalies and jump in where needed. There is an inherent risk in operations with using new technology. 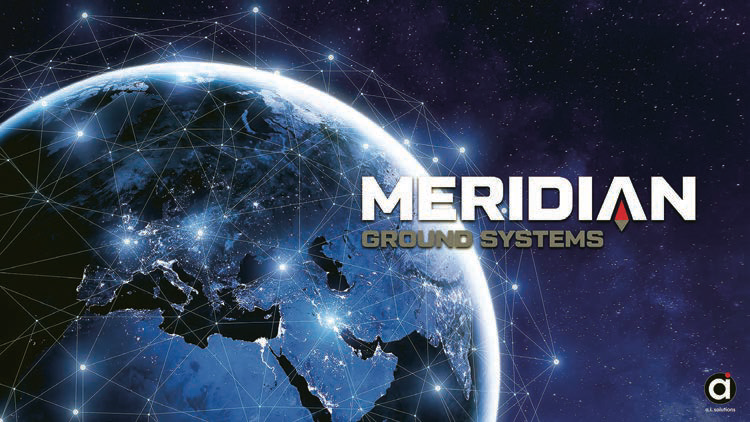 To mitigate that risk, Meridian is built on the proven and powerful astrodynamics engine within FreeFlyer®, a COTS software with decades of use supporting hundreds of operational spacecraft. 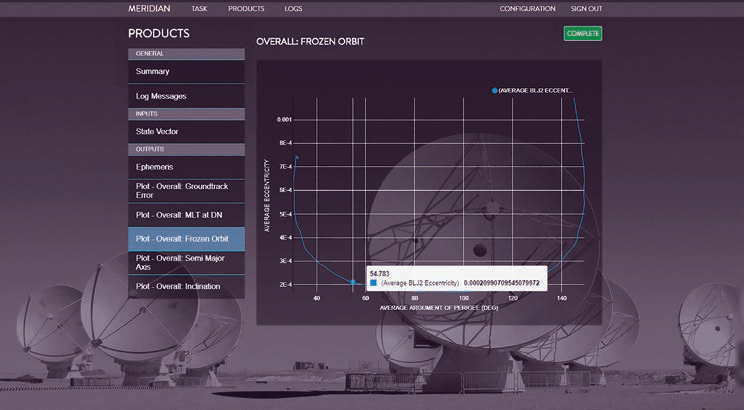 Its algorithms have been verified and validated time and time again, as it’s used in current operations for the GPS fleet and the International Space Station (ISS) as well as future missions, such as the James Webb Space Telescope (JWST). Further reducing risk is a world-class technical support team of orbital mechanic experts who are available to help build solutions for critical needs. With FreeFlyer being used at more than 35 universities across the world, companies and organizations can hire the next generation of engineers with skills already in place to ensure mission success. 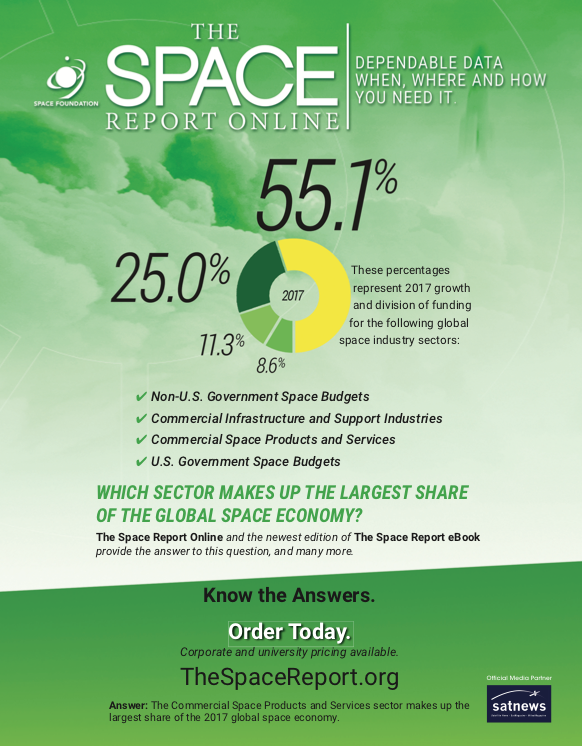 There are new countries, companies, and agencies entering the space industry each day, with more spacecraft being launched and larger constellations on the horizon. These entrants come with a need for shorter schedules and costs that don’t balloon out of control as the number of spacecraft increase. The USAF is transitioning to EGS for these same reasons, while providing enhanced resiliency and allowing for increased automation so airmen can spend their time on mission effects and not routine product generation. Those who develop ground systems, in whole or in part, have a great opportunity to meet that increased demand. However, it requires a common ground system that is a culmination of where the industry has been and where it’s going, not simply an incremental advancement from where we are today. a.i. solutions has executed several successful deployments of its Meridian FDS by taking an approach based on those staples of commonality. Soon, an operator will get a text alert during lunch that one particular spacecraft in a constellation of hundreds has a potential conjunction. The operator will review a recommended collision avoidance maneuver that previously performed best in handling thousands of problematic cases within the cloud and the operator will select that identified maneuver for execution to solve the incident. That’s not an incremental change — that’s a leap forward and is possible with software like Meridian and is certainly indicative of what’s to come with a common ground system. To learn more about a.i. solutions and its software, visit ai-solutions.com or stop by booth #528 at the 35th Space Symposium in Colorado Springs, Colorado, U.S.A., April 6 to 8, 2019. Andrew Werner is the Director for Space Products at a.i. solutions, which includes the development and support for Meridian, FreeFlyer, and other astrodynamics software. 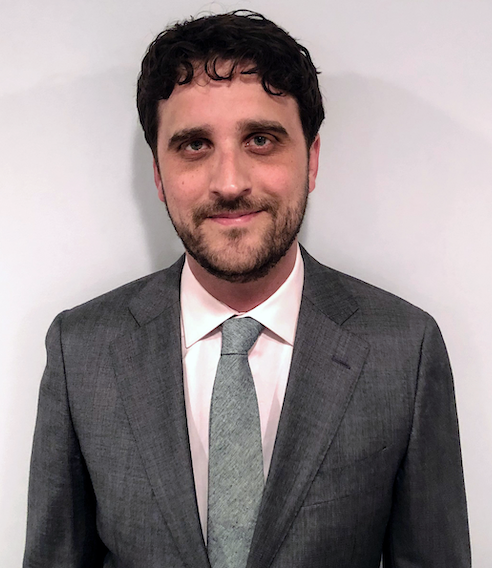 He holds a MS in Systems Engineering from the George Washington University and has managed contracts across civil, commercial, military, and international customers.